Opale has been practicing yoga steadily since 1995. She discovered Yoga during one of her numerous trips to India. She became aware of her body seriously lacking flexibility and muscles. She had been suffering from chronic lower back pain, sciatica, as well as excessive stress for several years. The daily practice of Yoga became the only way to maintain the new painless body. For 15 years, she traveled the world. She lived in India for a few months each year and studied different types of yoga: Iyengar Yoga (focused on alignment), Astanga Vinyasa Yoga (focus on Udjaih Breath and Bandhas), Vinyasa Flow or Power Yoga alternating with the study of Vishranta, Restorative Yoga. More recently she integrates Mindfulness into the Yoga practice, according to the teachings of Hugh Poulton. In 2005, she settled and since then is mainly teaching in Ibiza. In India, in 2004, she was certified to teach Astanga Yoga after an intense teacher’s training course at the International Purple Valley Yoga Center in Goa, directed by Julie Martin. In France, in 2005, she was certified to teach Vinyasa and Vishranta Yoga by Gerard Arnaud after a 2-year teacher’s training course at the “Federation Francaise de Yoga”, in Paris. In 2011, She achieved a Pilates Master in Ibiza internationally recognized by PMA. On request, she now integrates Pilates exercises to the Yoga lesson to strengthen the abdominal belt, protect the spine and avoid backaches. In 2015, she was certified to teach Integrated Yoga & Mindfulness after a teacher’s training course with Hugh Plouton and Sarah Haden. In India, for many years she studied Astanga Yoga with Rolf Naujokat and then was a student of David Swenson. She also studied Indian philosophy, did a Vipassana Meditation retreat in India, and practiced Pranayama with Emil Wendels. In Paris, she studied Vinyasa flow with renown Gerard Arnaud. More recently she was inspired by Rebecca Parker‘s flowing Yoga style and Christine May, from the Shiva Rea Prana Yoga. Mindfulness has become a focal element in Opale’s classes, following the perspective of her mentor Hugh Poulton. Opale teaches since 2005 in Ibiza. She really appreciates the quiet of Ibiza, the peaceful beauty of its nature and its mystical remote places, so propitious for Yoga practice. Which is why she chose to live and teach there. She is also a dedicated mother. 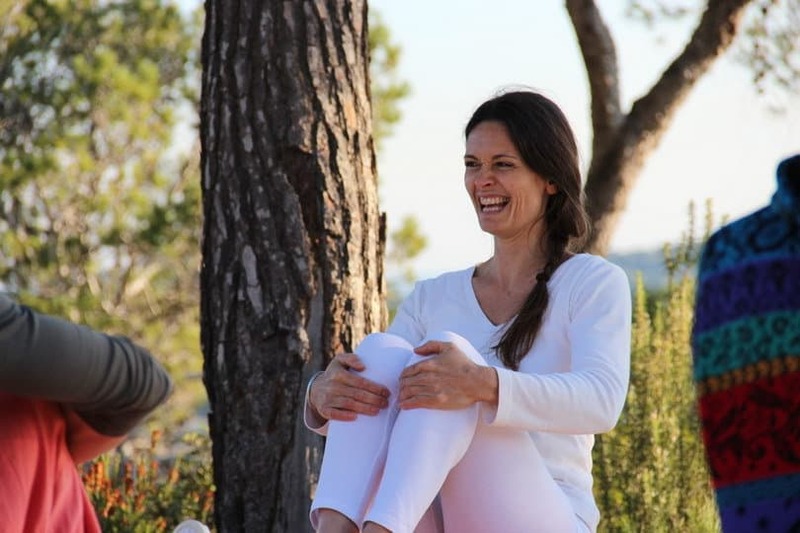 Since 2008, she has taught and led more than a hundred retreats in Ibiza. Opale is a partner of Smart IB cooperative. She is a certified member of Yoga Alliance Professionals.